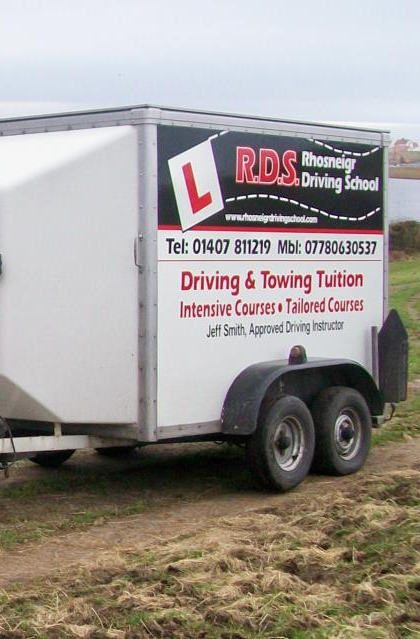 Rhosneigr Driving School offers a wide range of driving and towing tuition services at affordable prices. Based on Anglesey our services are available to all the general public, including Bangor and the surrounding areas. We offer 1 to 1 attention for all our clients who will learn in a safe modern dual controlled vehicle. Established for over 12 years we have built up a good reputation and come highly recommended within Anglesey and Gwynedd. All lessons are conducted by a fully qualified and C.R.B. checked instructor who is also friendly, patient and reliable. We offer a high-quality service at competitive rates. Towing lessons are a minimum of half a day in length and can be arranged to suit the individual. Just choose to suit your budget and time schedule. We offer professional driving lessons which are generally one or two hours in length. Many of our students pass first time with just a few minors in their test. Our pass rate is second to none.